While the atmospheric, Vertigo-esque teaser for Vaughn Stein's neo-noir Terminal may center on two assassins played by Max Irons and Dexter Fletcher, there's no question who the biggest draw really is. 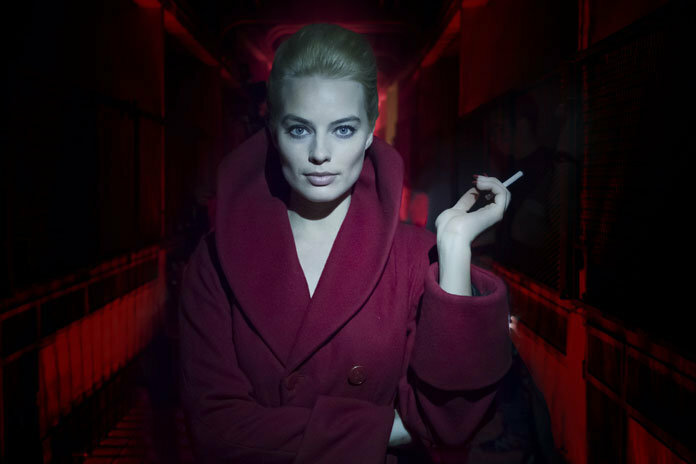 Margot Robbie is giving off serious femme fatal vibes in this brief, stylish footage, and I'm ready to go down the rabbit hole with her right now. Stein, an assistant director on massive blockbusters like Sherlock Holmes and Beauty and the Beast, wrote the script and makes his directorial debut. Clearly he's coming out swinging and establishing a personal style right away, giving this footage a silky, neon-lit look that is somewhat intoxicating. The story follows two assassins who take on a dangerous job for a mysterious employer. They encounter a number of colorful characters along the way, including the enigmatic Annie (Robbie) who may be more involved than they thought. Here's the synopsis: In the dark heart of a sprawling, anonymous city, Terminal follows the twisting tales of two assassins carrying out a sinister mission, a teacher battling a fatal illness, an enigmatic janitor and a curious waitress leading a dangerous double life. Murderous consequences unravel in the dead of night as their lives all intertwine at the hands of a mysterious criminal mastermind hell-bent on revenge. Also on board are Simon Pegg and Mike Myers, the latter taking on the rare acting role so you know there must be something to this. Terminal hits theaters on May 11th.